Need a hand? 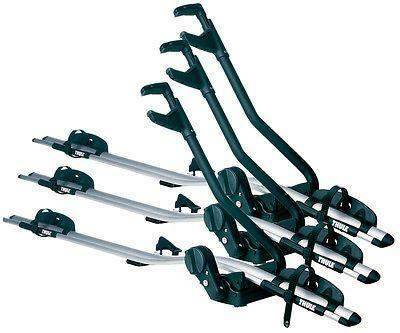 We provide free fitting on all Thule Cycle Carriers when you Click & Collect. Contact us on 01509 750071 and we can arrange free fitting with one of our Parts Specialists. 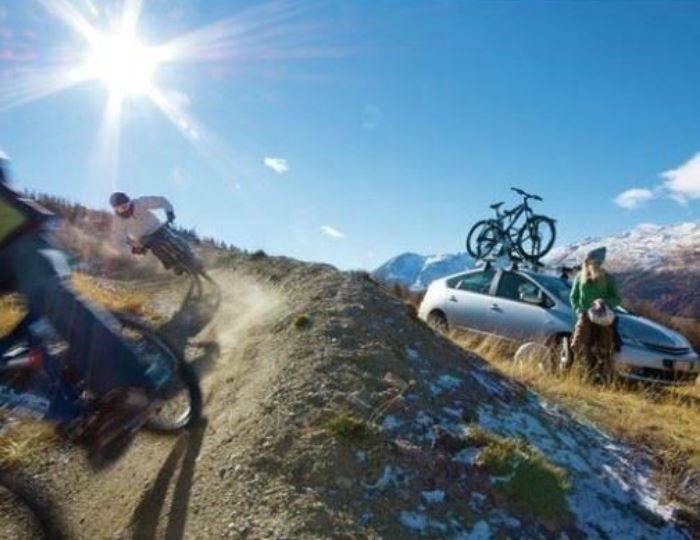 The Thule 591 Proride is our best selling bike/cycle carrier/rack. 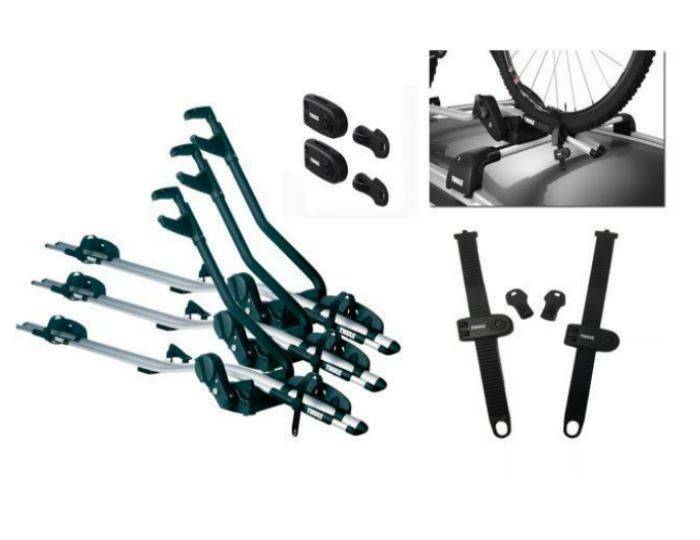 It is a roof mounted bicycle/bike carrier and holds one bike though it is possible to fit up to four Thule 591 ProRide's to a vehicles roof bars. Lightweight and easy to fit to almost any type of roof bar (up to 60mm wide). The fitting process takes approximately 5 minutes with the option of either clamping it directly onto the roof bars or using T track adapters so that it fitted onto roof bars which have T tracks built into them. 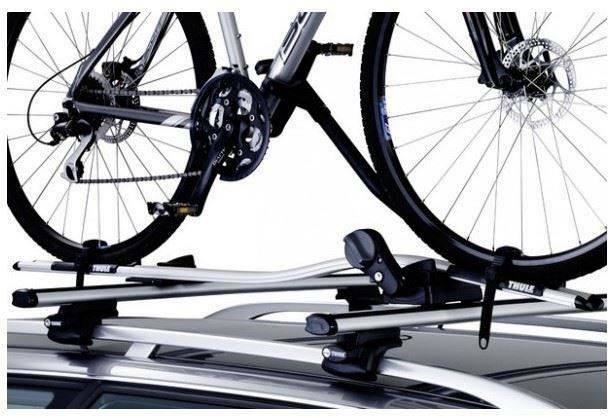 Once fitted it is easy to secure a bicycle/bike on the Thule 591 ProRide bike Rack/cycle carrier. The bicycle/bike wheels fit in specially designed trays which have straps to secure the bicycle/bike. In addition the Thule 591 ProRide's patented frame holder holds the bicycle/bike in place so that it can be driven at speed on the motorway or around bendy country roads. Stylish, elegant and lightweight aluminium design. A single Thule 591 ProRide can carry one bike, however up to four Thule 591 ProRide's can be roof mounted on a set of roof racks. 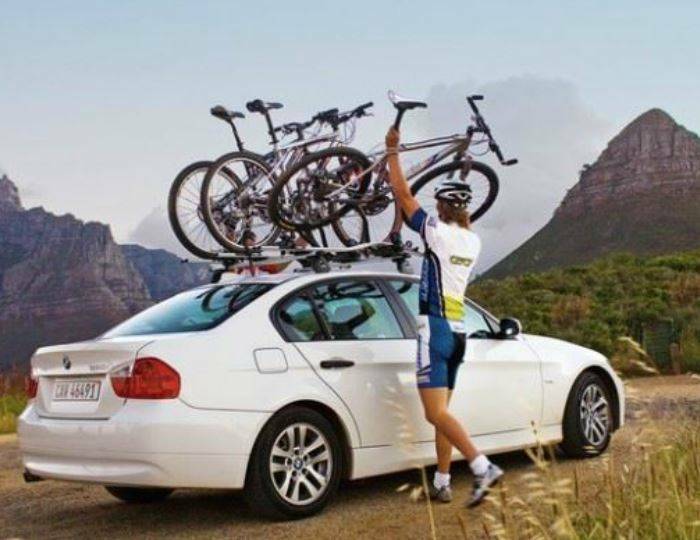 Securing the bicycle/bike can be done easily at car roof level, all that is needed is to tighten the turning knob which requires only one hand. 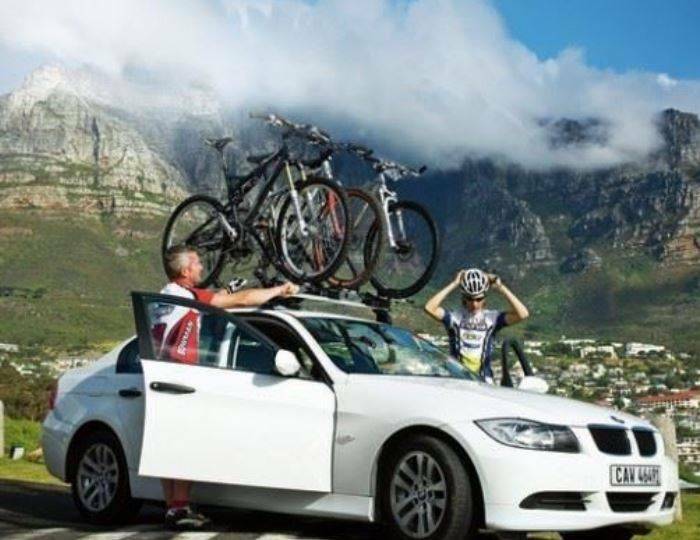 The Thule 591 and therefore the bicycle/bike itself can be fitted to either side of the vehicles roof. Fits bicycle/bike frames up to 100mm (oval 80x100mm, round 22-80mm). 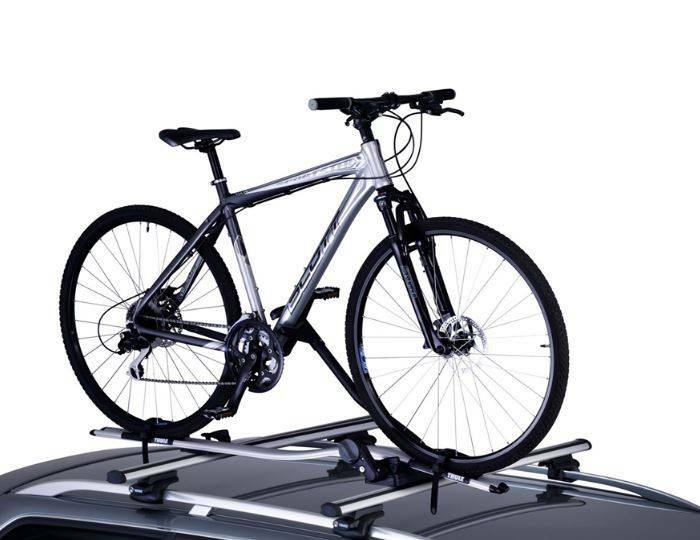 Can carry heavier bicycles/bikes than any other roof mounted bike rack/cycle carrier (up to 20kg). 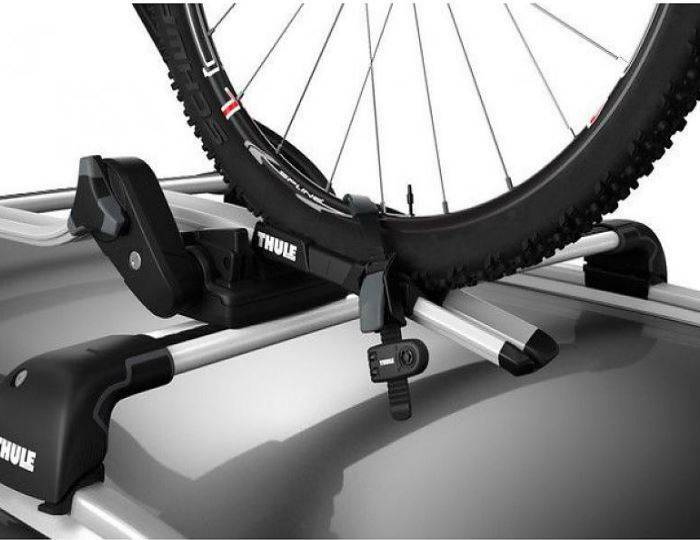 The Thule 591 ProRide’s wheel holders use rubber pads to ensure the protection of mountain bicycle/bike rims and help secure the smaller wheels of road bicycles/bikes. 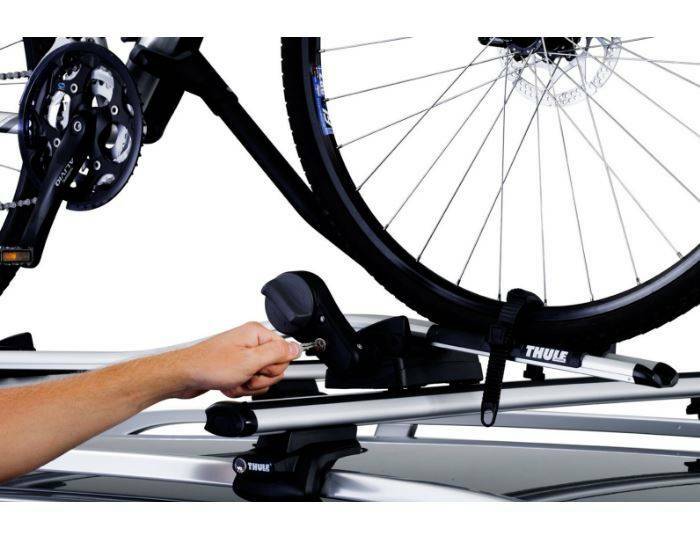 The Thule 591 ProRide comes pre-assembled, so there is no need for tools. 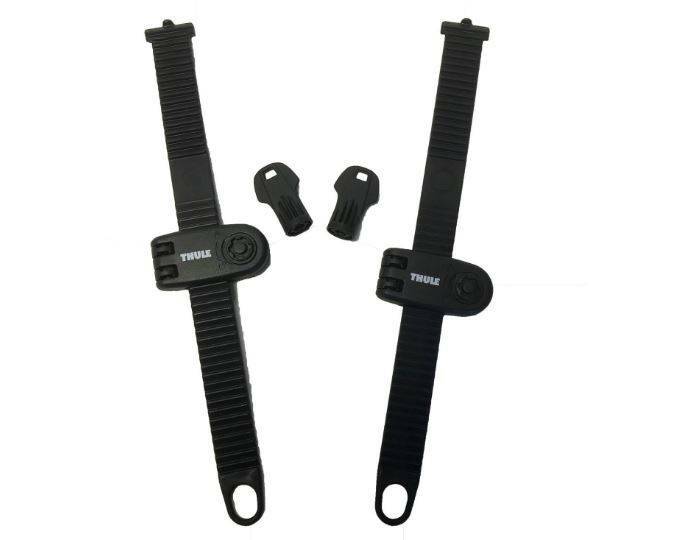 Adjustable quick release straps for securing your bicycles/bikes wheels. Adjustable for bicycle/bike wheel sizes of up to 2.5 inches. T-Track adapters (20x30mm) are included for mounting the bike rack/cycle carrier directly into the T-tracks of the roof bars. One key system compatibility; with this Thule function you can replace the locking cylinders across all your Thule products so that you only need to use one key. 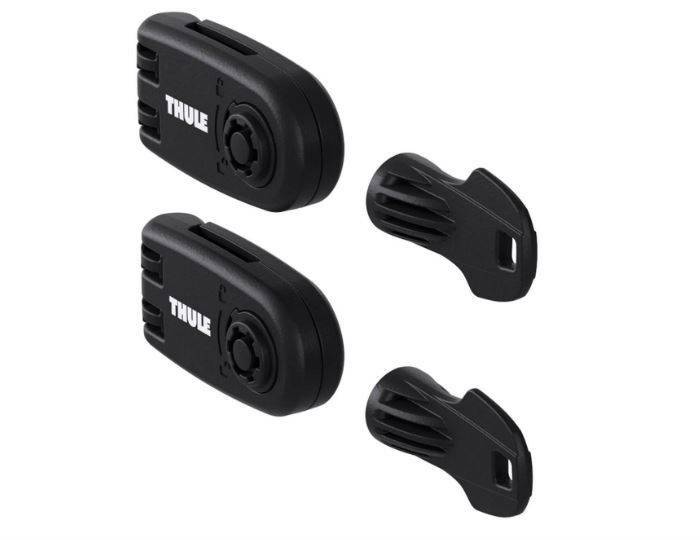 Secure connection; your bicycle/bike locks to the Thule 591 ProRide and the Thule 591 ProRide locks to your roof bars. 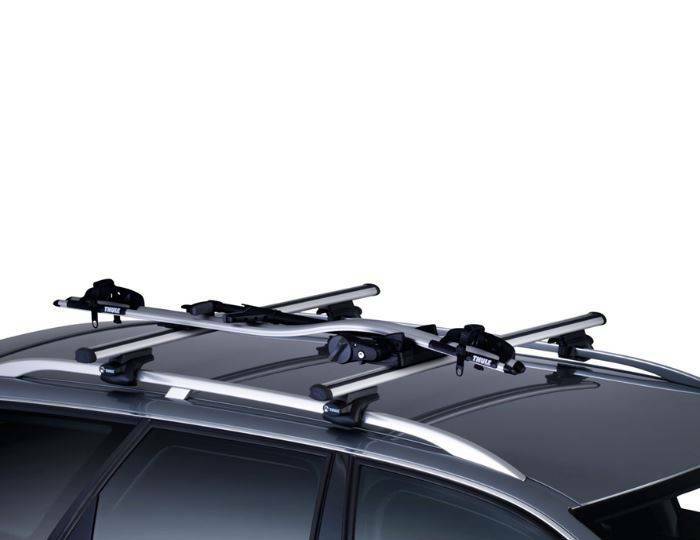 The Thule 591 ProRide will fit on both aero and square roof bars. This is a Locking Kit to Lock your wheels straps down with a key for Extra Protection.